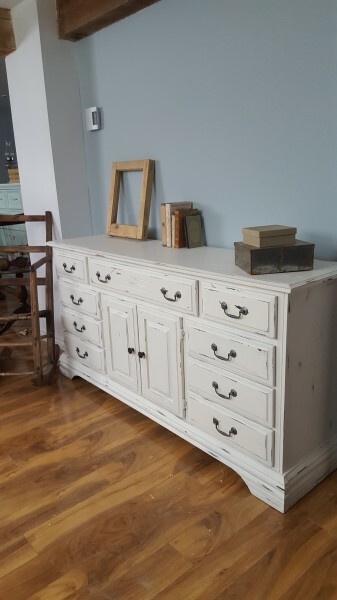 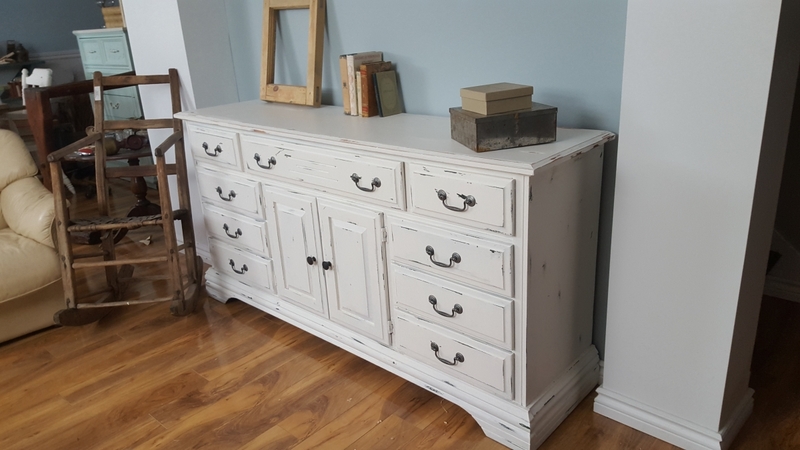 Beautiful TV console media or large dresser with multiple drawers and doors. shabby chic style rustic cream / off white antique / champetre. Lot of storage.